Winefront - 3 reviews by Gary Walsh. From selected sites throughout the Barossa to make Tim’s house style. Blackberry, plum, a little nougat and coconut, chocolate. Classic modern Barossa with a nod to tradition. Medium to full bodied, round and supple with ultra-fine grained tannin fleshing out the palate and just-right acidity through its core. Long through the finish with a kiss of oak and perfectly ripe dark berry fruit. Textbook. Here’s the style of Barossa Shiraz that hits a chord with me. Open string E, perhaps. Could rate it one higher, but won’t. It’s not one louder, it’s one better. 94 points. In the proprietary Eden Valley contours bottle. Plenty of bath powder perfume! Tim likes to keep things pretty clean I’d say, and he’s certainly got all his ducks in a row here. Then into a much less soft and fluffy palate – firm, dry and energetic, lemons and limes, with a particularly lemony acid cut. Like the purity and bony crunch on the very long finish. Nice! 94+points. What a shame. I reckon this will miss out on our Top 100 wines under $25 publication by just three bucks. For a few dollars more. Or a fistful of travellers cheques. You can almost hear the marks being put on the bench as you taste it. Ginger, exotic spice, celery, fresh apricot and white cherry. Has a lightly viscous feel, but keeps itself neat and trim through the mouth with clean acidity, a subtle flintiness and spicy dry lemon tinged finish. Cedar oak plays a part in the wine, but it’s a positive. Show them Tim. Show them the whole thing. 93 points. MGS Isn't some marketing person's acronym for a new wine, rather, it's a traditional blend of mataro, grenache & shiraz. This is an excellent medium-bodied, savoury red wine. BY MIKE BENNIE. Find Mike Bennie on Facebook / Twitter. It’s always good to see Barossa grenache with a reasonable alcohol reading. This is the first release of a varietal grenache under the Tim Smith name. It was grown on two Barossa vineyards, both of which carry grenache vines that have been growing there for roughly 80 years. Some whole bunches were used. Smells great. Raspberries, blackberries, dried herbs, maybe some floral notes. Sweet and summery but not jammy or overdone. Take a sip and you instantly note the energy this wine has. It’s up and about, alive to its possibilities. The flavours bounce around your mouth. It has a warmth but it has an elegance. Sweet at its core but only just. This is a terrific Oz grenache. Its best should be ahead of it. This has become a popular wine review site - Sampy and Lurch have a fresh, no-frills approach to wine tasting. Here they rank the Tim Smith Wines 2012 Eden Valley Riesling with an 8/10 and good value at $25. Musk city planted with roses and heady aromatics - a siren! Super high notes with a spicy flavour handbrake finish. 100 Rippers - 2010 Mataro 94+pts. 100 Rippers - Winefront - 2010 Mataro 94+ points. ...I really like the way Tim Smith handles his mataro - verity of fruit, a savoury edge - he's had a great run of mataro wines and he talks with enthusiasm about the variety in the context of the Barossa and particularly the old vines of the region. This sees older French oak. Deeply flavoured, robust yet not overwhelming with layers of grassy tannin, savoury spice, red fruits and earthiness. There's a quiet, brooding intensity but as a youthful expression as the sweetness of mataro fruit comes to play. Feels slick with concentration and finishes with glossy primary fruit. Great aromas too - licorice, dark berries, mince pie spice. Complex, serious and eminently drinkable now - but ageworthy. MB. 100 Rippers - 2012 Riesling 94+pts. 100 Rippers - Winefront - 2012 Riesling 94+pts. Eden Valley Riesling at it's sizzling best. Grown on a low-yielding vineyard planted in the 1920's. Cut and drive. Dry and citrussy, loaded up with bath salts and lime rind. Rips through the finish. Not a generous or plump riesling but full of flavour-shot acidity and oomph. CM. 94+pts. Drink 2016-2024. Australian Wine Review; Andrew Graham. The best thing about this wine? How genuinely representative it is. If you're looking for a classic example of Barossan Mataro, look no further. Of course straight Barossa Mataro doesn't always make for a perfect wine, and indeed it (arguably) makes a more approachable drink when blended with more 'open' varietals. Yet its charms are still quite obvious. Perhaps the most challenging thing about Mataro - as a variety - is just how reductive it can be. By that, I mean that Mataro based wines are apparently more resistant to oxygen and reactive to the effects of anti oxidants (like S02) making for reds that are closed, backwards and less obviously 'fruity'. On the flipside, such tendencies also make Mataro (or Mourvedre/Monastrell) rather easy to work with in the winery, as wines can be made rough and oxidatively with a minimal need for additional preservatives. (Just as an example I tasted a McLaren Vale Mourvedre/Mataro/whatever you want to call it at Samuels Gorge last year that had never seen sulphur and spent 2 years in barrel. That's quite normal apparently). Given such a context there is little surprise that this Mataro presents as quite meaty, a little rubbery and reductive, the deep flavours looking lightly tinny and confected on first viewing. It's not until you peer below this wall of unresponsiveness that more sinewy, licoricey and savoury dark fruit appears. The palate is dry-but-rich, and strongly reticent, driven by a rich mid palate and blocky, serious tannins. There's a sweetness of oak and some sweeter dried fruit edges but otherwise this offers little but promises much, the tannins more of an endpoint than a cohesive part of the equation. A very serious, wonderfully true Mataro that whilst it is a little bound and black, unquestionably sings with varietal character and latent power. 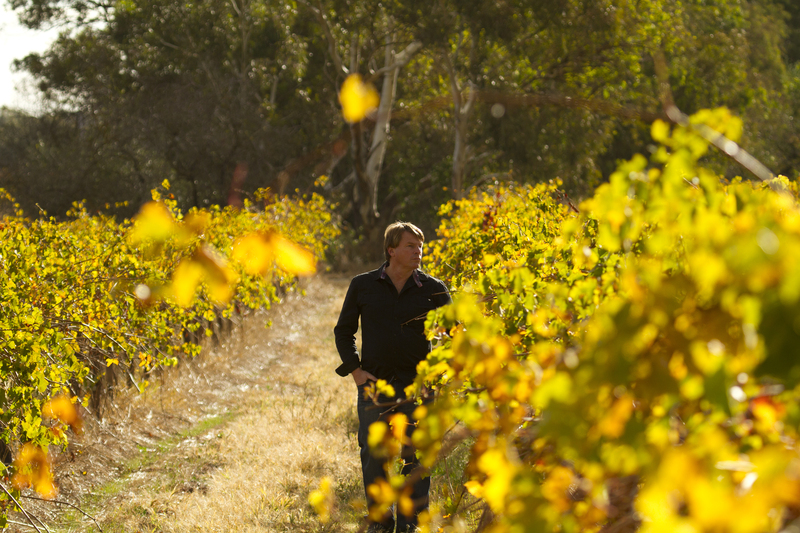 Winestate Magazine - Meet the Winemaker: Tim Smith. Winemaker Tim Smith caught up with Maurizio Corda to talk about the 2012 Vintage, Tim Smith Wines' 10th Anniversary and his favourite varietals. Winestate Magazine - July/Aug 2012 issue. Tim Smith Silver Jubilee Year 2012. ...plenty of winemakers interested in these grapes, and they are producing some of the region’s most exciting wines. 2010 Tim Smith Wines, Mataro Grenache Shiraz, Barossa. 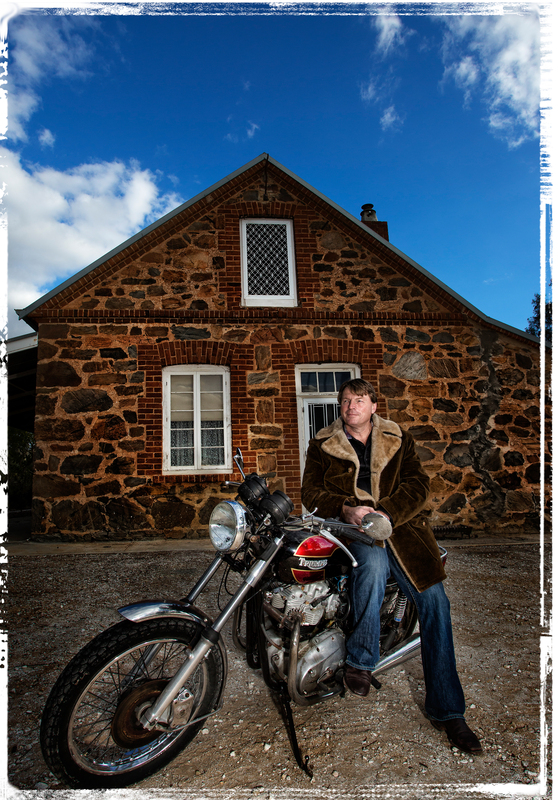 Tim Smith catapulted the Chateau Tanunda wines to international acclaim before departing to focus on his Barossa brand. Here he eschews the usual Rhone-style GSM blend in favour of a Bandol look-a-like, mataro leads the way supported by grenache with the shiraz component well in the background. Vibrant aromatics of violets, raspberry jubes and allspice with hints of warm earth and bitter chocolate pave the way for a rich, palate of yellow plum, cloudberry and dark cherry. Gravelly tannins add a rustic touch. PB. The 2010 Barossa Shiraz is aged in a combination of French and American barrels and the blend is comprised of 75% fruit from the Barossa Valley and 25% from the cooler Eden Valley. It shows good structural fruit tannin, lifted aromatics, great texture and has some serious cellaring potential. 2012 is the 10th vintage for Tim Smith Wines. This year's vintage will be processed at a brand-new winemaking facility in Nuriootpa, where he and the team from First Drop have created a joint winery named 'Home of the Brave'. Tim Smith Wines 2008 Reserve Shiraz - 93 Points. The 'Reserve' status and price point get you thinking about richness and intensity and this doesn't disappoint. Dark in the glass it has earthy notes, sweet spiced plums, anise and resiny oak on the nose. The palates quite deeply textured and has a very ripe, dark flavour, some porty elements, nutty complexity and leaves a thick, ripe, impression. Best drunk as hedonistic youngster. Tim Smith Wines 2010 MGS - 93 Points. Smith has delivered a bright an vivacious blend from the 2010 vintage, showing a wealth of rich red, blue and darker fruits on the nose, with handy freshness and perfumed lift. The palates packed with red-fruit flavours, and there are really neatly articulated tannins here too - juicy yet quite firm and sturdy, and chocolate flavours building. An excellent young wine. Tim Smith 2009 Barossa Shiraz - 92 Points. This is a very ripe and brooding take on the Barossa shiraz theme, with dark-plum and blackberry compote, plum-cake, spices and earthy aromas. The palates into the chocolate and plum liquor territory; oak makes more on an appearance here, adding vanilla flavour and a plum-stone finish - impressive weight and density. A blend of Eden Valley and Barossa Valley floor grapes. James Halliday - 2012 Australian Wine Companion. WineState Adelaide Hills Tasting. Top in Tasting. Taste, Daily Telegraph. Tony Love.